I was working in the south parts of Sweden and bought myself a magazine, Autosport July 27 issue, to read while I took a glass of milk in a nearby pub. 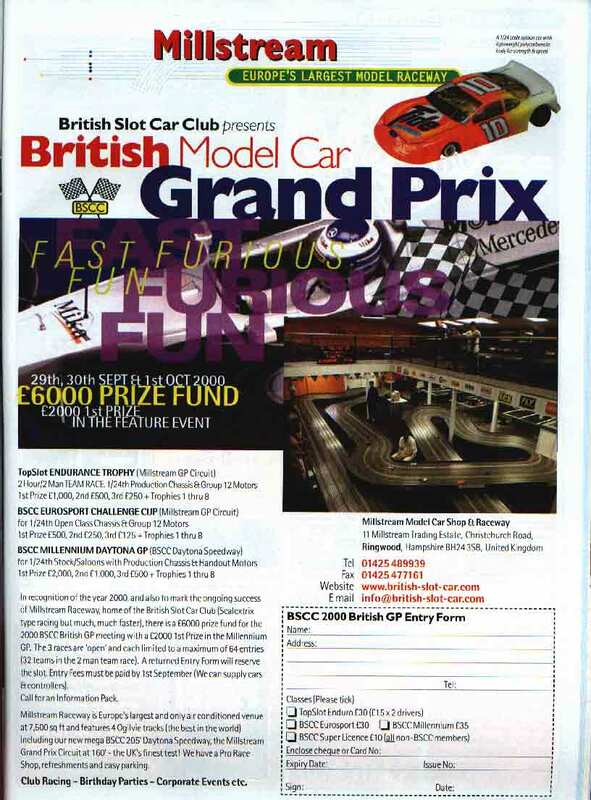 In the magazine I found an ad for a slot-car race. I was amazed over that since it does cost a lot of money to advertise in a magazine like that. Here is an image of that ad. Hold on it WILL take time to load.